The top small-scale theatres across the UK that don’t receive core government funding. Judged on criteria including (but not limited to) artistic quality, business success, innovation etc. The Barn Theatre  is one of the country’s youngest venues, having only opened this year. A passion project, Ian and Chrissie Carling transformed an old Nissen hut in the Cotswolds that had previously hosted amateur and youth productions into a modern 200-seat theatre with rehearsal facilities and a bar and restaurant on site. Under the artistic directorship of Iwan Lewis, the venue has already established itself as a producing house in an area previously under-served by theatre, programming work designed to appeal to a range of ages. It opened in March 2018 with the well-received The Secret Garden, and has since staged four impressive in-house productions including revivals of Simon Stephens’ One Minute , The Rise and Fall of Little Voice , and a comedy version of The Hound of the Baskervilles . Opening a new theatre at any time is challenging, but, in an incredibly short space of time, the Barn has had a significant impact on the cultural life of its hometown of Cirencester and the surrounding area, as well as attracting national interest in the work it is staging. A considerable achievement by any standards. 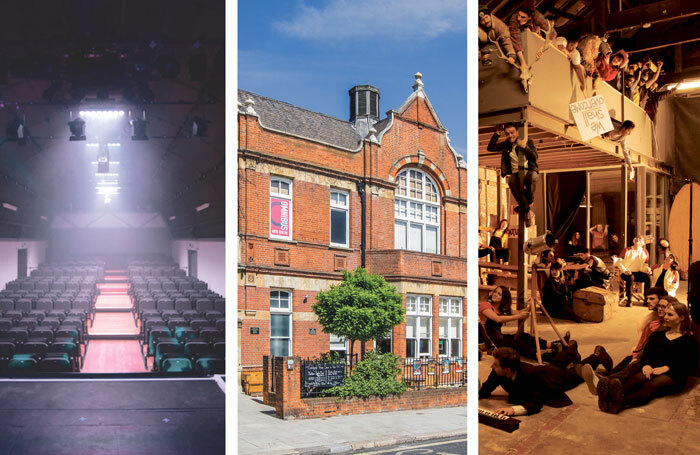 Housed in a former library building, Clapham’s Omnibus Theatre  has, over the course of five years, become a significant presence on the London fringe scene. Since it opened in 2013, its audience has grown steadily, reaching 45,871, and the theatre has produced six Arts Council England-funded in-house shows as well as programming more than 2,500 performances and events. Under the artistic directorship of Marie McCarthy, the Omnibus has extended its runs to three or four weeks and also now presents two festivals a year: the 96 Festival, celebrating queer arts, and Perception, a festival of work exploring the world in which we live. Critical success in 2018 included Lizzie Nunnery’s new play To Have to Shoot Irishmen, staged as part of the theatre’s Irish festival, and Nicola Davies’ Perfect. The building’s history and the hard-won fight to save it from commercial development means it has a strong sense of its civic role and place within the community. Though often thought of as an area of affluence, Clapham is not without its social challenges and Omnibus is the only organisation offering regular arts engagement for young people in the immediate area. It also runs Routes, a school holiday lunch programme giving free meals to local children. Founded in 2012, the Vault Festival  began as an opportunity for emerging theatremakers to present their work during what has usually been a fallow period in the theatre calendar. It has gone on to instigate a change in the theatre ecology, growing rapidly from a showcase of 18 productions across a period of three weeks to a two-month festival encompassing 350 productions, as well as parties, film screenings and other events. Produced in 2018 by Tim Wilson, Andy George and Mat Burt and occupying a vast warren of tunnels and chambers beneath Waterloo station , it is now the UK’s largest curated arts festival. Its success rests on its commitment to creating an artist-friendly environment, one that significantly reduces the risk factors that come with other festivals. Crucially artists do not have to pay costs up front to participate and they receive up to 70% of their box office. This year – its most successful to date – the Vault Festival’s programme consisted of 52% female-led work and 13% black, Asian and minority ethnic-led productions. From this programme, three shows transferred to the Trafalgar Studios, and many others went on to enjoy future lives elsewhere. Vault has created a space in which producers and programmers get to see a wide range of work in one space, as well as a social and cultural hub for theatremakers and audiences alike. The 2019 festival  is destined to be even bigger.